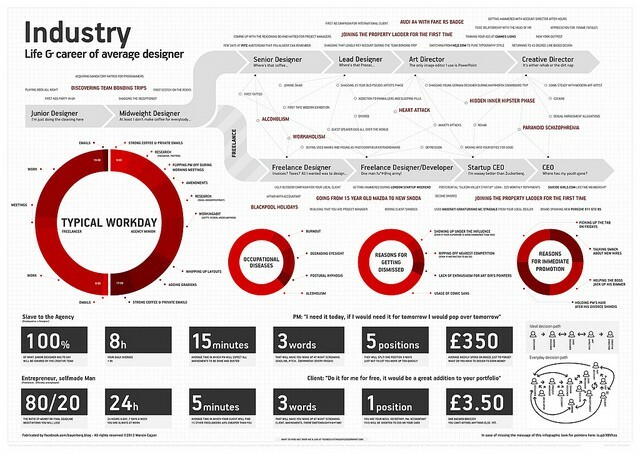 You’ll need to view the larger size so head over to BayerBerg’s Flickr stream to see sizes of Life & Career of Your Average Designer Infographic up to 2620px in width. Plenty big enough even for you poor designers with poor degraded eye site as a result of too many hours staring at that pixel. Whilst you’re there add it as a Favourite.